A recent report by Spanish outlet El Desmarque claims that Liverpool centre-forward Divock Origi has been a subject of a £16.2m bid from Crystal Palace with just hours left in the ongoing transfer window. The Belgian international has fallen down the pecking order under Jurgen Klopp at Anfield and has been deemed surplus to requirements by the Reds manager. After being touted as one of the most promising young talents in European football, Origi has struggled to live up to his hype in recent years. The Reds frontman is entering the final year of his Anfield contract so the Merseyside team needs to sell him or risk losing him for nothing next summer. With the Eagles looking to snap up the Belgian prospect, here is our scouting report. The Belgian striker started off his football career at the youth ranks of KRC Genk in Belgium. He was soon snapped up by Lille, playing for their Under-19 side before being promoted to their B team, just a couple of years after his arrival in France. It took Origi a year to make an impression and stake his claim for Lille’s senior side. The Oostende-born talent found the back of the net 6 times in 35 matches and gave a good impression of himself in the 2014 FIFA World Cup in Brazil. At the tender age of 19, Origi scored the winning goal for his national side in a World Cup match against Russia to announce himself to the world that he was the next big prospect coming out of European football. Liverpool bought into the hype and snapped him up in the summer of 2014 with the then Reds manager Brendan Rodgers deciding to loan him back to Lille immediately for another season. However, his career took a turn for the worse since his arrival at Merseyside as he struggled to be a regular feature in Liverpool’s first-team. After being left frustrated with the lack of first-team opportunities, Origi went out on another season-long loan spell to play for VfL Wolfsburg last summer. He had scored 7 goals in 37 appearances at the Volkswagen Arena last season and is now, back at Anfield looking to start a fresh chapter in his career. The 23-year-old primarily operates as a centre-forward but can also feature on either flank up top. We have often seen Jurgen Klopp use him from the left-hand side of the frontline while Rodgers used to deploy his pace and power down the right. However, the Belgian is at his best while playing inside the opposition box, similar to how Christian Benteke operates at Selhurst Park. Origi is a commanding presence in the opposition half and is a handful for any defender. The Belgian is blessed with incredible pace while he often uses his big frame to shield the ball in tight spaces and retain possession for his team. The KRC Genk academy product is also known for his ability to take up good positions and his shots normally pack tremendous power. More often than not, Origi has an ugly habit of giving away the ball cheaply, with his passes in the final third often going wayward. For a man of his size, the Belgian uses his strength well but is frequently let down by his jumping as he does not have a great leap for a commanding centre-forward. He also lacks the aggression in his game which could sometimes end up being decisive inside the opposition penalty area. Blessed with outstanding speed and acceleration. Uses his strength well to hold up the ball but not as aerially dominant inside the opposition box. His positioning, shot power and finishing are excellent but he needs to work on his strikes from range. Uses his body well to dribble through tight spaces and has great ball control but lacks the composure to make the right decisions in the attacking third. The Right Fit For Palace? The Eagles boss Roy Hodgson is known to adopt an old-school 4-4-2 formation so Origi will be a good fit alongside Benteke to lead the lines up top. The Belgian can use his pace and power to be effective on counter-attacks. He will also be a threat from set-pieces and his incredible versatility will help Hodgson implement him on a variety of roles in his Palace team. 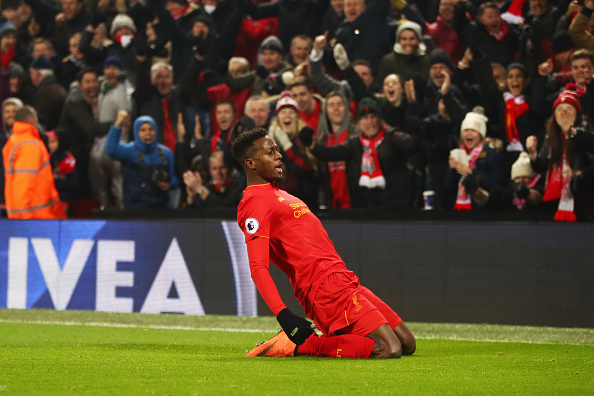 On a cut-price deal, Origi could be a clever signing for the Londoners but it is still unclear whether Hodgson can get the best out of the Belgian talent. It’s DONE And OFFICIAL: Chelsea Seals The Transfer For This Spanish Ace! 4-3-3 Crystal Palace Predicted Line-Up Vs Tottenham Hotspur: Benteke To Lead The Line? 4-4-2 Crystal Palace Predicted Lineup To Face Liverpool: Sorloth To Feature In The Starting Lineup? Crystal Palace Makes £8.9m Bid For AS Roma Midfielder: The Right Fit For Hodgson? Crystal Palace Wants This Defender From Barcelona: Can He Turn Into A Beast Back In London?